While the international row over the poisoning of former Russian intelligence officer Sergei Skripal and his daughter on British soil continues to escalate, the Organization for the Prohibition of Chemical Weapons (OPCW) supported the UK assessment that a military-grade nerve agent was used in the alleged attack. Russian Ambassador to the UK Alexander Yakovenko's press conference came a day after the OPCW confirmed that the Skripals were poisoned with a military-grade nerve agent in the British city of Salisbury. Russia continues to study the OPCW report, but Foreign Minister Sergei Lavrov has said that it does not appear to contain information regarding the chemical's country of origin. The UK has requested to convene an emergency OPCW session next Wednesday in order to discuss the organisation's findings. Speaking to the media in London on Friday, Ambassador Yakovenko reiterated that London has yet to offer any evidence over its claims against Russia, adding that its investigation was being carried out in a "nontransparent way." The ambassador accused the Foreign Office of "ignoring" Russia's repeated requests for information regarding the case. Moscow, he said, has "not received a single request for assistance" in the case. "We are not allowed to see our citizens, talk to doctors, have no idea about treatment…British authorities consistently deny consular access to Yulia Skripal and her father," Yakovenko complained. 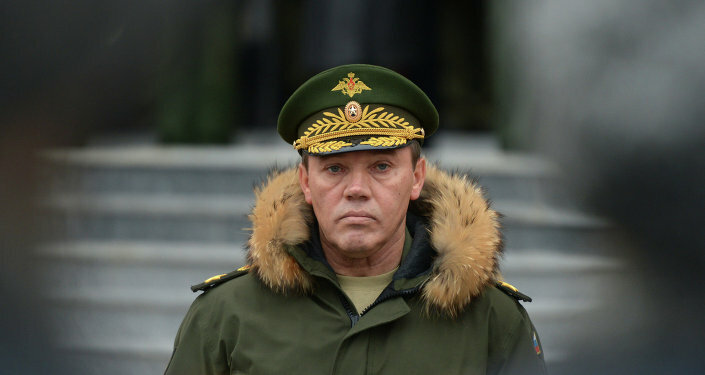 He noted that London continues to conceal information about Yulia's whereabouts after she was discharged from hospital and transferred to an unknown location. "We have every reason to see [these] actions as an abduction of two Russian nationals or at least their forced isolation…My letter to Foreign Secretary Johnson remains unanswered. It looks like he is not ready for that conversation, or maybe he has a lack of arguments," he said. The ambassador said there were many curious moments in the Skripal case, including a lack of pictures since their poisoning. He asked why the pair has not been given access even to the media amid their recovery. Furthermore, Yulia's statement about her improving condition was provided by the Metropolitan Police, not by Yulia herself, he said. Yakovenko stressed that Russia would very much like to confirm that Yulia is alive, and to know whether she is being subjected to pressure. The ambassador said the Embassy gets the distinct impression that the UK has been pursuing a deliberate policy of destroying or classifying evidence to make it inaccessable. He also pointed to recent reports that the UK's National Security Council had seized control over media coverage of the Skripal investigation. Turning to the case of the March 12 murder of Russian national Nikolai Glushkov, the ambassador said that here too Moscow remains unsatisfied over lack of access to the case. The investigation is classified, and the Metropolitan Police refuses to talk to the Russian Embassy, he complained. The Skripal and Glushkov cases were also reminiscent of the 2006 Litvinenko case, according to the ambassador. Here too, he said, crucial information was classified as a national security matter. 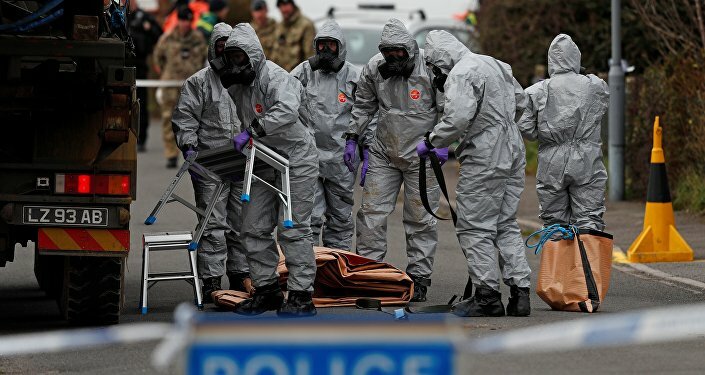 Moscow was now "very carefully" studying the OPCW report on the Skripal case, Yakovenko said, and would withhold making conclusions regarding the findings until it did so. The ambassador did note however that the report never confirmed the origins of the nerve agent, as London has claimed. "What the British government said is that this is a Novichok under their classification, that it was produced in Russia, brought by Russia…The [OPCW] report confirmed that it was some kind of a nerve agent or something toxic, but the report never said the origins of that poison. It means the report never confirmed that it was made in Britain, or in Russia, or in the United States," he said. Russia, he stressed, stopped its chemical weapons program in 1992, and completed the elimination of its chemical weapons stockpiles in 2017, a fact confirmed by the OPCW. The US, he recalled, plans to do so only by 2023. In this light, media allegations about Russia's production of one nerve agent or another "have nothing to do with the reality." He reiterated that Russia has never produced or stored the so-called 'Novichok' nerve agent. Yakovenko called a claim by a British security adviser that Russia had spied on Skripal and his daughter a "big surprise." "I simply don't understand how it could happen. If someone was spying, why were the British services not complaining about that?" he asked. Ultimately, the ambassador emphasized that Russia wants to see a transparent, full-fledged investigation into the Skripal case, especially in light of Prime Minister May's claims of Russian involvement. Russia's interest also stems from a desire to protect Russian citizens, including the Skripals, he said. Yakovenko also commented on the situation in Douma. The ambassador recalled that the Syrian government had warned repeatedly for over a month about the possibility of opposition provocations in the form of an alleged chemical attack. The ambassador also reminded journalists that Russian biological warfare defense specialists had travelled to the site said to have been hit, and that they did not find any evidence of a chemical attack. Russia can only welcome the OPCW fact-finding team's planned visit to the site to take take samples. Russia's proposals for an independent investigation were blocked by the US, the UK and France at the UN, Yakovenko recalled. This, he said, was a sign that the alleged 'chemical attack' was really a justification for the use of force by foreign powers. OPCW plans to visit Douma on Saturday, and this was exactly what Russia wants, Yakovenko stressed. "During this weekend, we'll learn what happened," he said. The ambassador stressed that the Douma situation was reminiscent of the 2003 buildup to the invasion of Iraq. This, he said, included misinforming British lawmakers and the public regarding the threat supposedly posed by Iraqi weapons of mass destruction. Yakovenko played a short RT clip showing former Prime Minister Tony Blair's push for intervention in Syria today, comparing it to the Prime Minister's support for the Iraq invasion in 2003. The ambassador then played a Russian television report of Russian military police forces entering Douma on Thursday. Russian forces on the ground could not find any victims of a chemical attack in any of the city's hospitals, the report said. Yakovenko noted that thousands of residents have been returning to their homes in Eastern Ghouta. Russia delivered 518 tons of aid to civilians over the past few days alone. 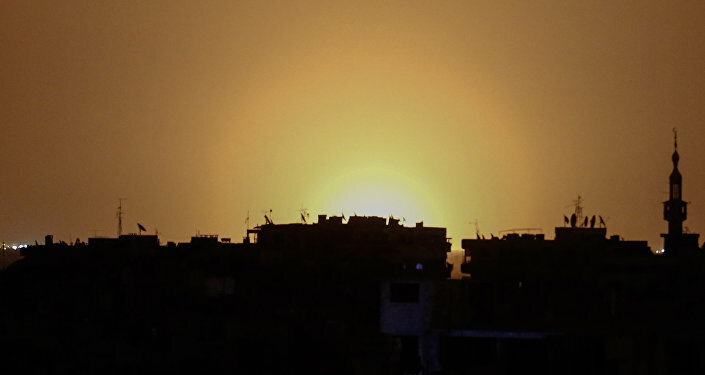 Hosilities in Douma ceased a week ago. 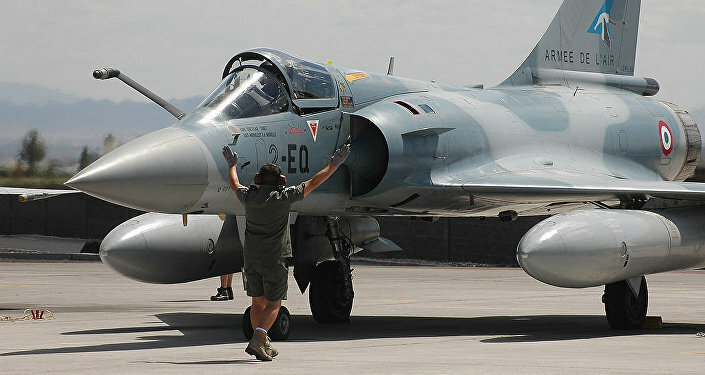 Over 37,000 militants have left the town since February, he said. Russia also continues its hostage negotiations with militants. The ambassador praised Damascus's decision to push forward and complete its operations in Eastern Ghouta, which has ensured the safety of civilians on the ground over the long term. Yakovenko stressed that the international community needs to help Syria rebuild. He expressed hopes that the UK and other EU countries would one day remove their sanctions against the war-torn country, and provide it with humanitarian aid. Asked to comment on French President Macron's claim that he had 'proof' that Damascus was behind the alleged Douma attack, the ambassador said that the president has no proof from on the ground, with Syrian and Russian forces being the only forces on the ground in the area. Commenting on the White Helmets' role in the alleged Douma attack, Yakovenko said that this group was well-known for its falsified reports about chemical attacks, including the 2017 Khan Shaykhun chemical attack, which led to US cruise missile strikes against a Syrian airbase. Ultimately, the ambassador said he believed "common sense will prevail" on the Douma issue. He recalled that Western interventions in countries like Libya only led to collapsed states and civilian suffering.